James Woods is an Oscar-nominated actor for his work in Salvador and Ghosts of Mississippi, and has appeared in more than 130 movies and television shows, including Casino (who could forget his delightfully hateable coke addict portrayal), Nixon, and Once Upon a Time in America. 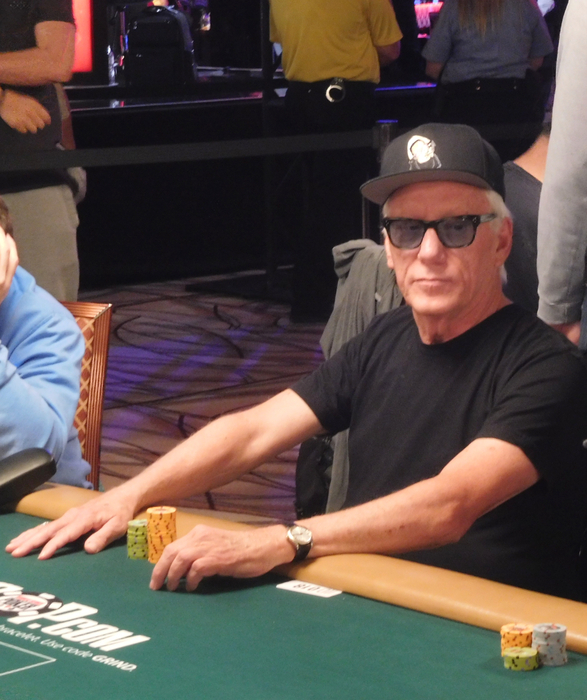 An avid poker player, the 70-year-old Los Angeles resident has competed in a multitude of tournaments since 2004, including in both the World Series of Poker and World Poker Tour events, and boasts three wins and 16 top 10 finishes. Although well-known for his strong conservative viewpoints and pointed political tweets, Woods preferred to focus on poker for our interview. The debonaire thespian took a break during this year’s WSOP to sit down with CardsChat for an exclusive interview. 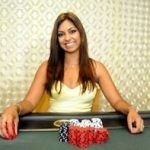 CardsChat: How did you get into poker? I went to the Bellagio and played in a $2-$4 limit game and he sat me down and he told the table, ‘This guy has never played before. He doesn’t know any of the rules. I just told him how to play. Would you mind if I sat with him and made sure he doesn’t make any mistakes in terms of the betting?’ They were like, ‘Yeah,’ licking their fingers. I sat down with $200 and won $684 and I never looked back. Woods: About 15 years ago. I started playing the year before [Chris] Moneymaker won [the WSOP Main Event in 2003]. 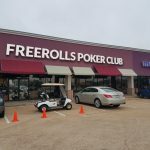 CardsChat: Then you started playing tournaments two years later in 2004, right? Did you feel you were ready? Woods: My mother got ill and I went back to take care of her and didn’t play that much for a couple of years. I came really close in the California State Poker Championship Main Event in 2005: I came in 24th. Now I don’t play that many [events]. The irony is people see me cash and I pretty much cash in everything I play. It’s weird. If I played more, I probably would do much better. CardsChat: How much do you think your game has evolved since you began playing? Woods: It’s massively improved. The more I play with top players, the more it improves, and the more I play with bad players, the worse it gets. Which is why I am playing the bigger tournaments now, because you are playing with the tops in the game. CardsChat: I know you enjoy playing cash games as well, do you think that because of your celebrity, you have a target on your back when you sit down at a table? Woods: I don’t even play them anymore. It’s pointless, because my dilemma is, how do you play aces under the gun if you are me? If you over bet, nobody calls, and if you bet regularly, you get six calls, because everyone wants to be in the hand so they have a story to tell. 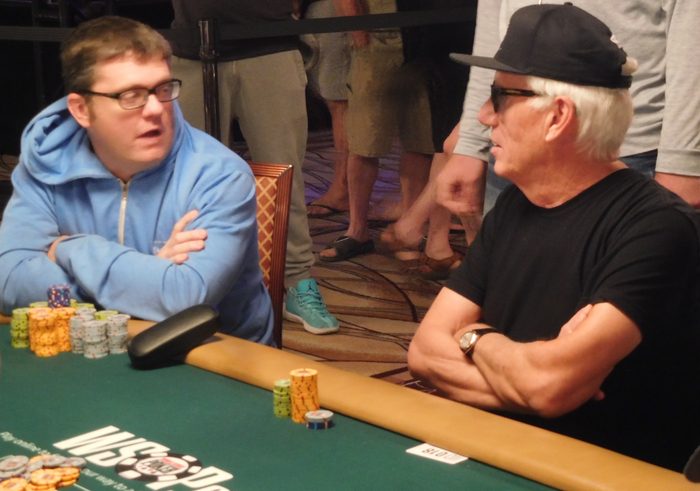 In a tournament, nobody is going to donk off a big section of their chips just to have a story to tell. Once you get past that donkey minefield, like I call it, then you can play against the pros. These are top-level players, they don’t care if I’m Bette Davis. The good news is, most of the top-level guys respect me as a poker player and may also coincidentally be a fan of my work as an actor. They strictly relate to me as a poker player, which I appreciate. CardsChat: Your latest tournament win was for just over $21,000 in the 2016 Omaha 8 or better WPT LA Poker Classic at the Commerce. You beat out 87 competitors. How satisfying was it to win that one? Woods: It was a very satisfying win, because I had never played the event before. My friend Avner [Levy] told me I should play Omaha 8 or better. I said it looked like fun, but I never knew really how to play. I played it in H.O.R.S.E. 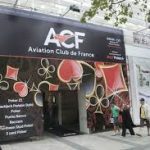 [mixed games event] a few times. He said, we’ll go over to the Bike and play, but you can’t screw around, you have to play tight. I played well, made a couple of mistakes, like you will. But I made a couple of good moves that were just good poker sense. 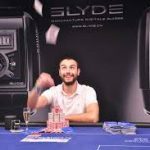 CardsChat: Was winning that event your best poker moment so far? Woods: No, actually my best poker memory was the LA Poker Classic in 2005. I should have won that thing. I had queens against aces and I lost. But I played really great poker. CardsChat: Do you have poker players you lean on for advice? Woods: Yes, I have a real good group of buddies: Ken Aldridge, Avner Levy, “Miami” John Cernuto, Charles Fuchs. A lot of them have given me a kinda scope about poker. I also read this one article that said play games you don’t know, just to broaden your poker sense. When I went into the Omaha 8 or better, a lot of times I didn’t know what the standard plays were. I had to sit and think and figure it out. I think well about poker, even if I don’t know what the rules are. Ken Aldridge, ‘Teach’ is what we call him, and I, two years ago drove across country together. We ended up talking poker for five days. Both of us ended up making a final table the first week, which was really fun. I talk to Avner a lot and I talk to Miami John a lot. I think having a crew like that is really, really important. You can talk things out and it really makes a difference. 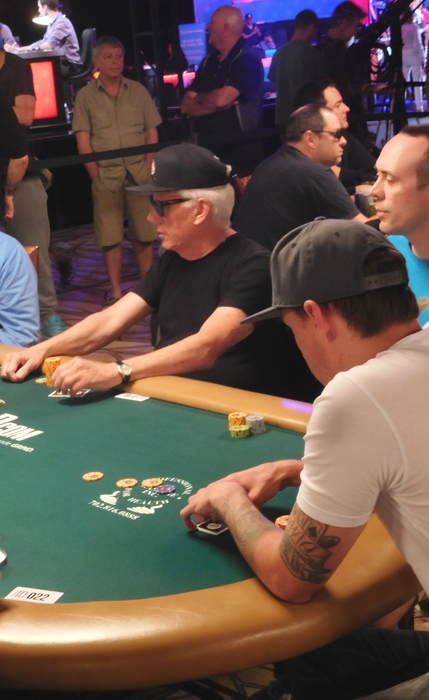 CardsChat: How did you decide on your first WSOP event this year, the $1,500 No Limit 2-7 Lowball? Woods: It’s funny, when I signed up for this tournament, I thought it was 2-7 Triple Draw. I had never played this before. I didn’t want to say anything to anybody, but I’ve never played this before. I finished 30th, in the money, so that’s nice. CardsChat: What’s the best poker advice you’ve gotten? CardsChat: Do you have any acting projects in the works? Woods: I just did Dice’s [Andrew Dice Clay] show a couple of weeks ago. But I really don’t feel like working right now. I just enjoy playing poker and I really don’t need to work. CardsChat: Last year your best finish was 34th in the WSOP, were you satisfied with your results? Woods: I cashed three times last year, and I think there was a couple of events I could have gotten further. I had a couple of bad breaks, got moved to different tables, which I never like. CardsChat: What does the future in poker hold for you? Woods: Tournaments are great for me, I learn so much every time I play. Cash games, I tend to get a little bored playing. I’d rather read a book. 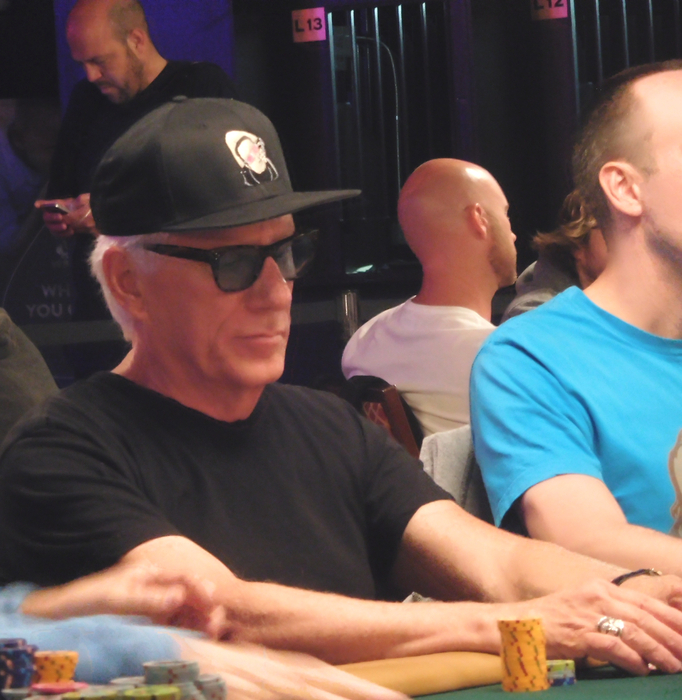 In a tournament, blinds are going up, there is more pressure, it’s more exciting. I am still able to think well and honestly, I really like poker players. They are really decent people and I like being around them.